This morning I am heading out to Boothbay to paint in the Oil Painters of America paint-out here in Maine. 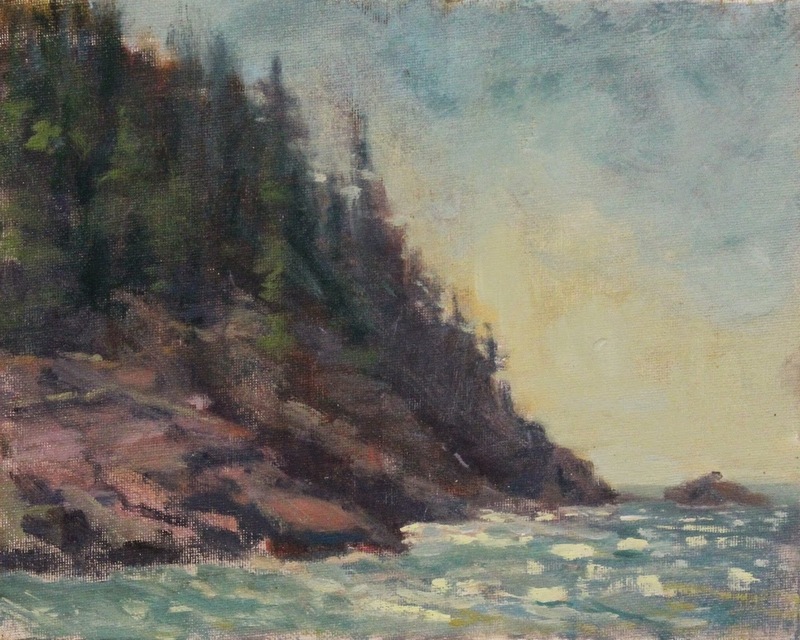 However, a few weeks ago I got up early to paint with a fellow artist at Sand Beach in Acadia National Park. We were there very early and enjoyed a day of painting waves and rocks. I really love this! Thanks for sharing it!